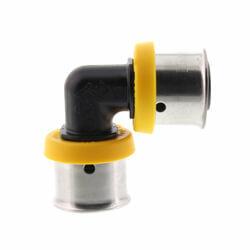 Browse our endless selection of Radiant Heat PEX fittings in a huge variety of sizes. For any PEX connection need we have the fitting for the job. PEX fittings are used to make connections from PEX tubing to PEX tubing, PEX tubing to manifolds, PEX tubing to copper, and PEX tubing to faucets & fixtures, among other applications. 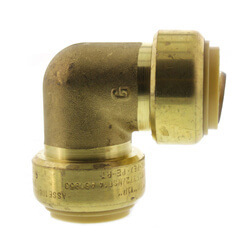 Fittings are commonly made of brass, but are also available in plastic, bronze, and stainless steel. Advantages of PEX fittings include cost effectiveness, flexibility, and durability when compared to traditional copper fitting alternatives. Due to the flexibility of PEX, a standard installation will require less connections than if the same installation was performed using traditional copper pipe and fittings. Consequently, having fewer connection requirements means less fittings and lower labor costs. Also, fewer fittings in the system means less leak potential. 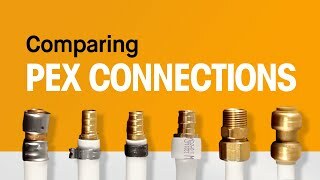 PEX fittings are available in many different connection methods which vary from manufacturer to manufacturer. Each connection method may require a specific tool dedicated to completing a successful connection. Common connection methods include: Uponor (Wirsbo) ProPEX, Crimp, Clamp, Compression, and Push-Fit connections. 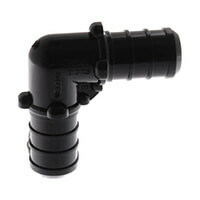 ProPEX expander fittings are manufactured by Uponor (Wirsbo). ProPEX expander fittings require the Milwaukee ProPEX expander tool and a ProPEX ring to secure a successful connection. These fittings can only make connections in PEX-a tubing (Engel method) applications. 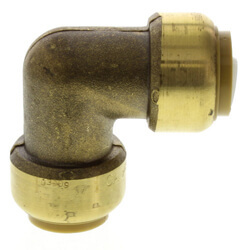 ProPEX expander fittings are available in brass or an engineered plastic version, which is more cost effective but just as reliable. 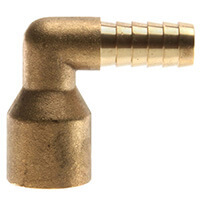 Crimp/clamp fittings are the most simple and most often used by DIYs; however they are also popular with professionals in certain areas of the United States. 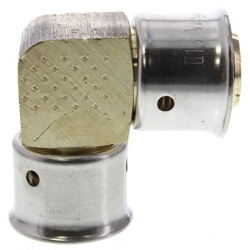 Crimp/clamp fittings require a crimp tool which uses copper crimp rings or a clamp tool which uses a stainless steel clamp ring to secure a successful connection. Many DIYs prefer the clamp tool because it is slightly easier to use and cheaper than the crimp tool. These PEX fittings may be used for PEX plumbing applications. They allow connections while using PEX tubing. These fittings meet the ASTM F1087 standard. Rifeng fittings may be used with AquaPEX, HePEX, ThermaPEX, Zurn PEX, Watts PEX, Vanguard PEX, and Viega PEX Tubing. A compression fitting consists of three parts: a compression nut, a compression ring, and a compression insert. 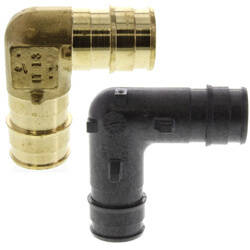 Compression fittings do not require a special tool, making it simple for DIYs to install. One major advantage of compression fittings is their simplicity of assembly and disassembly when a repair is needed. 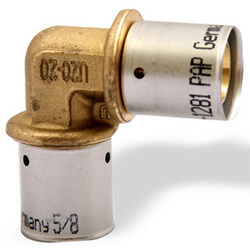 Compression fittings are a great choice when a repair or small number of connections is required and purchasing an expensive tool is unwarranted. 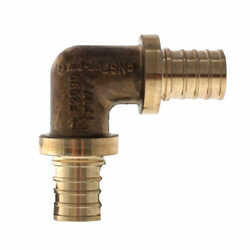 Wirsbo QS-Style PEX fittings are compression PEX fittings which don't require a special tool. When using PEX-al-PEX tubing, you will need to use a combination of the Multicor fitting assemblies and the QS-style adapters. When using other types of PEX Tubing (ie ThermaPEX or hePEX) you will need to use a combination of the QS-style fitting assemblies and the QS-style adapters. One of each is required per connection. 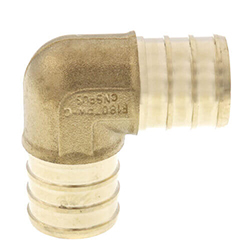 Push-Fit fittings are similar to compression fittings in that they are designed to connect to PEX in a matter of seconds. 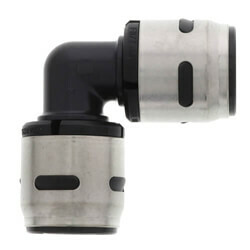 SharkBite Push-Fit fittings, the most popular push-fit fittings, are designed to simplify pipe installation. Push-Fit fittings can be disconnected and they remove the risk of any scale build up. Because of their flexibility, Push-Fit fittings reduce installation time without the need for special tools. John Guest also manufactures reliable Push-Fit fittings and is best known for their Speedfit Series. 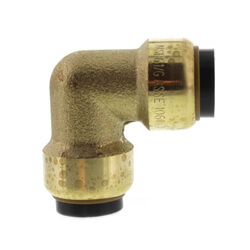 Push-Fit fittings have a body composed of solid DZR brass and are compatible with any standard ASTM size PEX, copper tubing, and CPVC. However, Push-Fit fittings are not compatible with PEX-AL-PEX Tubing. Wirsbo Multipress fittings make connections to PEX-AL-PEX tubing. An MLC press tool is required to make successful connections from an MLC fitting to PEX-AL-PEX tubing. The MLC press manual tool kit is compatible with 1/2" & 5/8" MLC press fittings. The mini-press battery tool is an electro-hydraulic model that makes fast, easy connections to PEX-AL-PEX Tubing and is compatible with 1/2" to 1" PEX-AL-PEX. 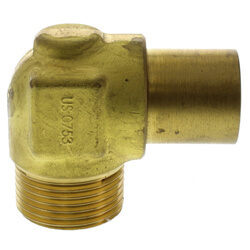 Watts Onix fittings are specifically designed for Onix tubing. Onix tubing is an EPDM-based, aramid fiber reinforced tube with an aluminum oxygen barrier. 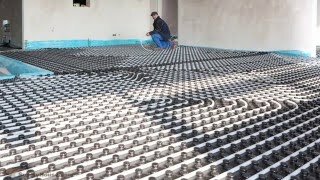 Onix tubing is used in radiant heat and snow melt applications. Onix fittings require SqueezeTite Pliers and SelfTite clamps to make successful connections.